An original Broadway cast recording of Escape to Margaritaville, the new show featuring the music of singer-songwriter Jimmy Buffett, will be released on February 16, 2018, the morning of the show’s first Broadway performance. The album, which will be recorded this month in Chicago, features both original songs along with many of Buffett’s classics. Escape to Margaritaville recently premiered in New Orleans and Houston, and will play Chicago’s Oriental Theatre from November 9-December 2 before appearing at Broadway's Marquis Theatre. Opening night is set for March 15. "It is a strange and wonderful feeling to hear your songs sung by others with the new and exciting mission to create a melodic ship on which the story of Escape to Margaritaville can sail," said Buffett. 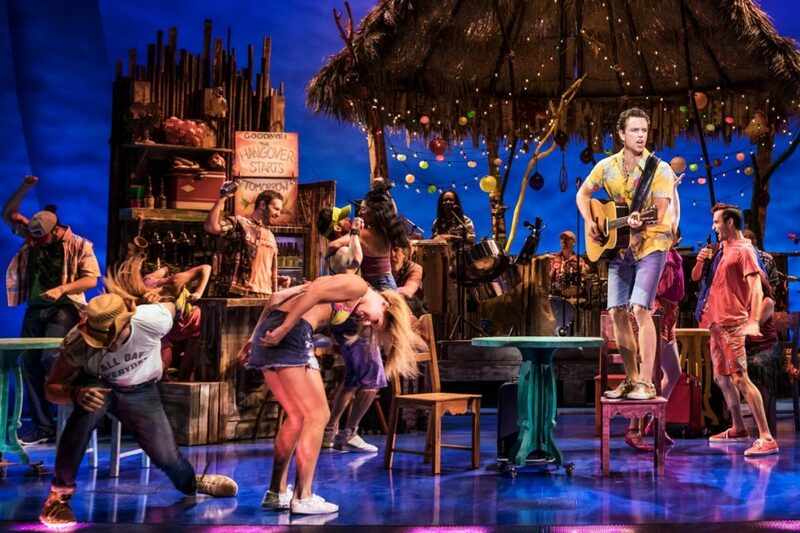 "I marvel at how our crew and their interpretations of both classic and new songs are taking the good ship Margaritaville towards a new and exciting port of call: Broadway." The cast of Escape to Margaritaville includes Paul Alexander Nolan, Alison Luff, Lisa Howard, Eric Petersen, Rema Webb, Don Sparks, Andre Ward, Matt Allen, Tessa Alves, Sara Andreas, Tiffany Adeline Cole, Marjorie Failoni, Samantha Farrow, Steven Good, Angela Grovey, Albert Guerzon, Autumn Guzzardi, Keely Hutton, Justin Keats, Mike Millan, Justin Mortelliti, Ryann Redmond, Julius Anthony Rubio, Nick Sanchez, Ian Michael Stuart and Brett Thiele. Escape to Margaritaville includes Buffett classics like "Come Monday," "Volcano" and "Cheeseburger in Paradise." With a book by Emmy winner Greg Garcia and Emmy nominee Mike O’Malley, the musical is choreographed by Tony nominee Kelly Devine and directed by Tony winner and La Jolla Playhouse Artistic Director Christopher Ashley. Get a sneak peek at Escape to Margaritaville in the Broadway.com Show segment below.